Gordon once lay on the course of the Berwickshire Railway, which ran from Duns to St Boswells. 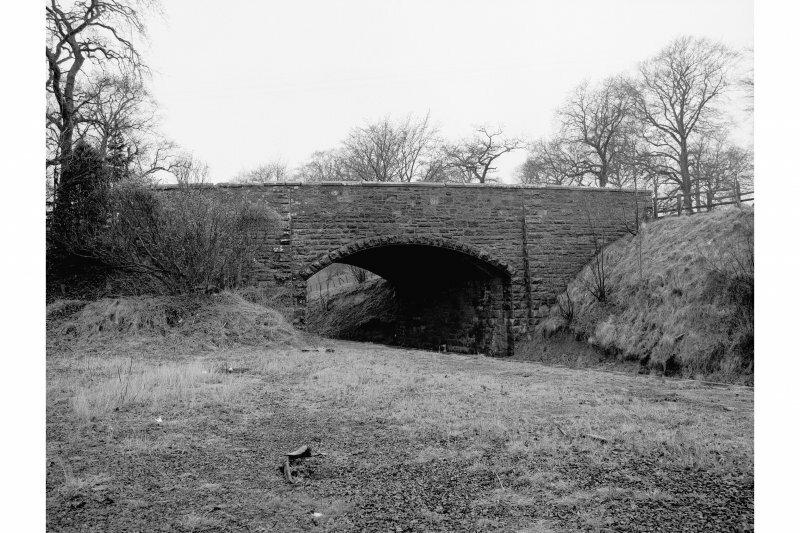 The line between Reston and Duns was opened in 1849 by the North British Railway, with an extension to St Boswells, the Berwickshire Railway, coming into service in 1863. Gordon Station stood about 500m north of the village, and although closed to passengers in 1948, part of the station and the single platform survives. Now a private residence, the station house is a plain two-storeyed building, with an adjoining single-storeyed wing that probably served as a waiting room for passengers. Photographs taken in 1958 show a water tower and sidings for freight traffic. Nothing remains of the water tower, and the track was removed when the line finally closed in the 1960s. The North British Railway Company seems to have had high hopes for the Reston to Duns line, as they laid double tracks. However by 1859 the receipts for passenger traffic had proved sufficiently disappointing for the line to be 'singled'. In 1865, the North British Railway Company, who operated much of Southern Scotland's railways at the time, took control of the Berwickshire Railway. Severe flooding in 1948 damaged much of the line, and Gordon Station was closed to passengers at this time. Freight traffic was, however, carried until 1965 when British Railways closed the line entirely. (Location cited as NT 647 737). 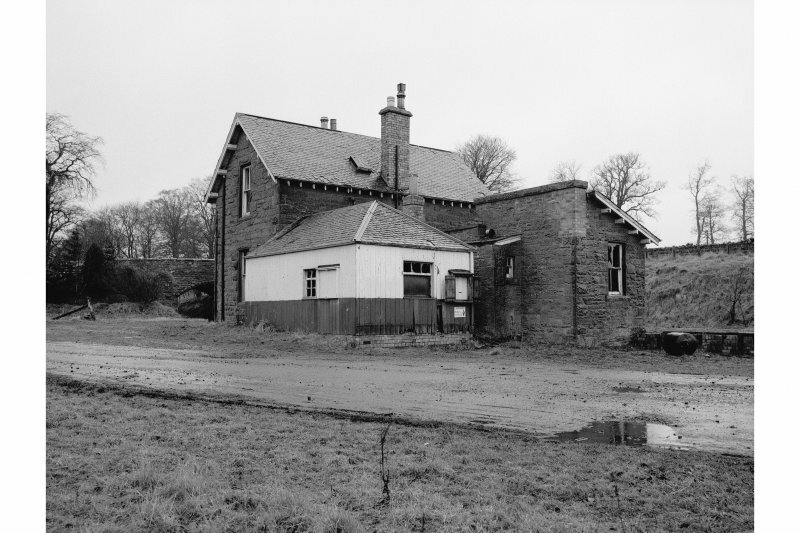 Gordon Station, opened 1863 by the Berwickshire Rly. Formerly a single-platform through station, the only surviving structures are the platform building (a two-storey rubble structure with a single-storey wing) and a segmental-arched overbridge. 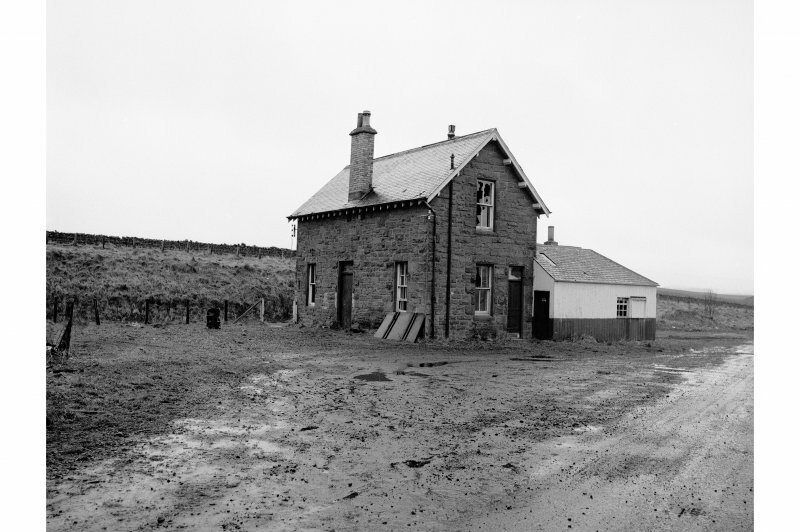 Gordon station house is in a good state of repair and in domestic use; a recent extension has been added on the E. The trackbed and station yard are occupied by a scrapyard, and the platform has been removed. Visited by RCAHMS (RJCM, JRS), 30 September 1993. 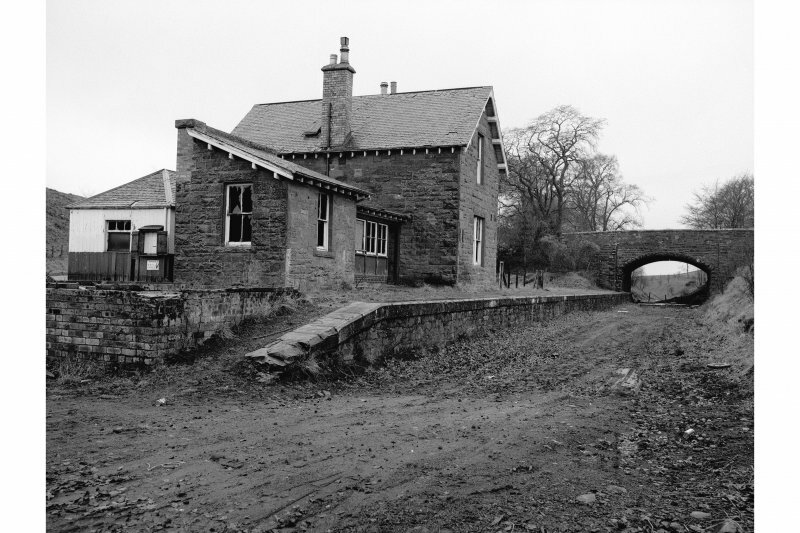 This intermediate station on the Reston - St Boswells (Ravenswood Junction) branch line of the (former) North British Rly was opened (by the Berwickshire Rly) on 16 November 1863 and closed to regular passenger traffic on 13 August 1948.